Varenicline may be associated with greater mood disturbance and side-effects among smokers with psychiatric history, but empirical evidence is limited. Differential treatment effectiveness by psychiatric history may also exist. To compare mood, prevalence and intensity of treatment side-effects, and abstinence among people with a probable history of major depression (DH+) or not (DH−) who took varenicline and received behavioral smoking cessation treatment. Smokers participated in a randomized behavioral intervention effectiveness trial. Treatment side-effects and outcomes were compared between DH+ and DH− participants (n = 1,117) at 2 days and 3 months after the target quit date. Smokers recruited from a large regional health plan. Change in stress and depression scores, prevalence and intensity of treatment side-effects, and abstinence rates. All side-effects averaged moderate intensity or less and were similar across DH groups, except DH+’s endorsed slightly worse confusion, nausea (adjusted P = 0.04) and trouble sleeping (adjusted P = 0.008) at 21 days. Depression and stress scores declined in both DH groups and an equal proportion of each evidenced new/worsening depressive symptoms. Despite few differences in symptom intensity, more DH+ participants reported recent tension/agitation, irritability/anger, confusion, and depression at 21 days (adjusted P < 0.05), and depression and anxiety (adjusted P < 0.01) at three months. Nonsmoking rates did not differ by DH group at follow-up. While some group differences were noted, DH+ smokers did not report qualitatively worse neuropsychiatric symptoms, more new/worsening mood disturbance, or differential abstinence rates compared to DH- smokers. Varenicline (AKA Chantix®) is the latest smoking cessation medication approved by the U.S. Food and Drug Administration (FDA). It significantly increases abstinence rates compared to placebo, bupropion, and NRT1, 2, 3, 4, 5, 6, 7. However, post-marketing surveillance and case reports have raised concerns about potential adverse effects associated with this medication while quitting smoking8, 9, 10, 11, 12, 13. Based on reports to the FDA, varenicline use may increase neuropsychiatric symptoms such as depressed mood, agitation, and suicidal ideation and behavior, particularly among persons with a psychiatric history. At this time, however, it is not clear if smokers with psychiatric history are, in fact, at greater risk for these disturbances compared to smokers with no prior psychiatric history. Individuals with psychiatric diagnoses were excluded from the initial efficacy trials and, to date, only one published trial has offered varenicline to persons with self-reported mental illness14. This study found no greater medication side-effects or differential cessation outcomes among smokers with mental illness compared to persons with no history of mental illness, but the psychiatric sample was small (n = 55) and included people with varying clinical diagnoses. A recent case series of smokers with stable schizophrenia also found no evidence of worsening mood or psychosis during varenicline treatment15, but again the sample was small (n = 19) and psychotic symptoms were not monitored with standardized measures. At present, more empirical data are needed to determine if persons with psychiatric history experience worse outcomes or side-effects when using varenicline, and if so, whether certain psychiatric groups are at greater risk than others. In the meantime, the FDA warns consumers to inform their providers of any prior psychiatric conditions before starting varenicline and to immediately report any changes in mood or behavior after beginning treatment8. The current paper examines mood, other self-reported symptoms commonly associated with varenicline use and/or nicotine withdrawal, and abstinence following varenicline initiation among smokers with and without a probable lifetime history of depression. In clinical cessation trials, as many as 35% to 60% of smokers have a positive depression history16, 17, 18, 19, and in a large epidemiological sample, 39% of smokers with moderate nicotine dependence had major depression20. Thus, depression is prevalent among smokers. Smokers with a history of depression are also more likely to suffer recurrent major depression after quitting21, have higher relapse and lower quit rates22, 23, 24, and report more severe nicotine withdrawal symptoms25. Based on these findings and the FDA warnings, we expected persons with a likely history of depression (DH+) would report worse treatment side-effects and lower abstinence rates than persons with no apparent history of depression (DH−). However, varenicline, α4β2 partial agonist, may also help attenuate negative affect and improve outcomes as it is thought to both block nicotine uptake and stimulate the dopaminergic reward pathway. A recent study found varenicline reduced negative affect and improved positive affect during active treatment compared to placebo26. Persons with and without psychiatric history were not compared, so it is unclear if this effect would vary based on depression history. However, if varenicline improves mood among DH+ smokers, differences in treatment outcomes between DH+ and DH− smokers may not be as pronounced as in prior trials. Data were collected as part of the COMPASS study, a randomized clinical smoking cessation trial. The purpose of COMPASS was to compare the effectiveness of three behavioral programs for smoking cessation, all offered with varenicline. Given the current warnings about varenicline use among smokers with prior psychiatric history, we report changes in mood which would indicate new or worsening depression post-medication exposure, as well as differences in a range of side-effects commonly associated with varenicline use and/or nicotine withdrawal. These include neuropsychiatric symptoms highlighted in the FDA warnings and other symptoms which might suggest DH+ have a qualitatively worse treatment experience. We are not able to discern which reported symptoms are due to medication use versus nicotine withdrawal, both because there is an overlap in the side-effects attributed to each and due to our study design, but we are able to comment on the overall subjective symptom experience reported by DH+ and DH− smokers and the observed abstinence rates among DH group participants treated with varenicline. COMPASS was conducted by Group Health (GH), SRI International (SRI), and Free & Clear, Inc. (F&C). GH is a large not-for-profit regional U.S. health plan. SRI is a non-profit independent research organization, and F&C is the U.S.’s largest vendor of tobacco quitline services. Smokers (n = 1,202) were recruited from GH and randomized to one of three behavioral treatment programs (phone-based counseling, web-based intervention, or combined phone and web-based intervention). Participants also received varenicline and were instructed to begin taking it one week prior to their target quit date (set at treatment initiation) and follow standard dosing instructions for three months. Additional details on the intervention are described elsewhere27,28. All study activities were approved by the appropriate Institutional Review Boards (IRBs). Study enrollment began in October 2006 and completed in October 2007. Individuals were eligible if they met the following criteria: were 18 years or older; smoked ≥ 10 cigarettes per day over the past year and ≥ 5 cigarettes per day over the past week; were ready to quit smoking; could read and speak English; had telephone and Internet access; and were enrolled in Group Health. All study-related treatment was delivered remotely with no in-person provider contact. Consequently, our IRBs advised more stringent exclusion criteria than recommended at the time for varenicline. The following were our exclusion criteria: current/planned pregnancy or breast feeding; self-report of poor health, severe heart disease or COPD; on dialysis or with certain kidney disease; self-reported current diagnosis or treatment of schizophrenia, bipolar disorder, or mania; high frequency alcohol use over the past six months (> two drinks per day almost every day) and/or binge drinking two or more times in the last month; current use of other cessation treatment; current use of investigational or recreational/street drugs or cimetidine, metformin, phenformin, pindolol or procainamide (drugs thought to potentially interfere with renal clearance of varenicline)29. Enrolled participants were interviewed by phone at baseline, 21 days post-target quit date, and three months’ post-target quit date. Baseline assessment included participant demographics, smoking history, nicotine dependence assessed via the Fagerström Test of Nicotine Dependence (FTND)30, perceived stress (a measure of subjective distress)31, depression history and current depressive symptoms. Depression history was assessed using an item reflecting the two hallmark symptoms of major depression in the Diagnostic and Statistical Manual of Mental Disorders IV32. Participants were asked to indicate if they had ever in their lifetime experienced a period of two weeks or more when they felt down, depressed or hopeless or had little interest or pleasure in doing things (yes/no). A “yes” was considered indicative of probable lifetime major depression (DH+) and a “no” indicative of no apparent major depression history (DH−). Current depressive symptoms were assessed using a brief measure derived from the Hopkins Symptom Checklist33. This measure evaluates depressive symptoms (disturbed sleep, low energy, blaming self, feeling blue, feeling everything is an effort, hopelessness about the future). Respondents rated how much they were bothered by each symptom in the past month on a 4-point scale ranging from ‘not at all’ to ‘extremely.’ Mean score was calculated. Both the depression history and depressive symptom screens were previously found to be inversely predictive of smoking cessation19,34. At follow-up, participants reported their current smoking status, varenicline use, current depressive symptoms, and side-effects during the past month. Side-effects included symptoms associated with varenicline based on the original clinical trials and prescribing information (e.g., nausea, vomiting, change in appetite) and symptoms commonly associated with quitting smoking and nicotine withdrawal (e.g., irritability, depression, anxiety, desire to smoke)35, 36, 37, 38. For each symptom endorsed in the prior month, participants rated the severity on a 5-point Likert scale ranging from ‘very mild’ to ‘very severe.’ Non-smoking was defined as a self-report of not smoking, even a puff, for the last seven days (point prevalent abstinence). Descriptive results are reported for enrolled participants who provided depression history status at baseline (n = 1,117). Analyses of side-effects and mood were limited to members of the respondent samples at each follow-up who had taken varenicline prior to assessment, regardless of dose or duration. Smoking outcomes were examined using conventional intent-to-treat (ITT) analyses where missing participants were counted as smokers (n = 1,117) and using a respondent only sample. Depression history group differences were examined using chi-square analyses for categorical variables and t-tests for continuous variables. Because we were interested in the change in depression and perceived stress over time, change in each scale score from baseline to follow-up was computed. Logistic regression models were run for unadjusted and adjusted analyses of binary responses (e.g., smoking outcome) and generalized linear models were run for unadjusted and adjusted analyses of continuous variables (e.g. depression and perceived stress scale scores, and change in these scale scores from baseline). Participant characteristics at baseline are presented in Table 1. Over half (56.2%) endorsed symptoms suggestive of lifetime major depression (DH+). These individuals were more likely to be older, female, white, and unmarried. DH− participants were more likely to have started taking varenicline by 21 days, but groups were equally likely to have taken the medication by three months and equally likely to participate in each follow-up. An equal proportion of serious adverse events were reported by both DH groups. All participants had taken varenicline prior to each follow-up, but were not necessarily taking varenicline at the time of assessment. A comparison of DH groups on medication usage showed that equal proportions were taking varenicline at 21 days (83.7% DH+ vs. 82.4% DH−, P = 0.59) and three months (35.2% DH+ vs. 38.4% DH−, P = 0.34). However, DH+ participants were more likely to report intentionally taking fewer pills in a day than prescribed at 21 days (16.8% vs. 11.9%, P = 0.03), but not at three months (27.0% DH+ vs. 27.9% DH−, P = 0.77). Reports of taking more varenicline in a day than prescribed were very low (less than 2%) and did not differ between groups at either follow-up. Mean depression and perceived stress scores were higher among DH+ participants at baseline (P < 0.001) and declined among both DH groups over time (see Figs. 1 and 2). Since groups differed on several baseline covariates, we examined mean change from baseline to each follow-up controlling for the baseline value of each measure plus gender, marital status (married/not married) age, race (white, not white), and behavioral treatment group. Adjusted mean change in depression score was greater for the DH− group at 21 days (−0.19 DH+ vs. −0.33 DH−, P < 0.001) and three months (−0.22 DH+ vs. −0.32 DH−, P = 0.02). Reductions in adjusted mean change from baseline were greater for DH− participants’ perceived stress scores at 21 days (−0.31 DH+ vs. −0.92 DH−, P < 0.001), but not at three months (−0.68 DH− vs. −0.42 DH+, P = 0.19). Change in depression score from baseline to follow-up*. *Scores reflect unadjusted means, with 95% confidence intervals indicated for each data point. Adjusted mean change from baseline to each follow-up is presented in the text and was significantly greater for DH– participants at each follow-up. † DH+ participants indicated a probable history of prior major depression at baseline. DH – participants denied symptoms suggestive of a probable lifetime major depression episode. ‡ Depression symptom scores range from 0 to 4 and reflect symptoms over the past month. Higher scores indicate greater depression. Change in perceived stress score from baseline to follow-up*. *Scores reflect unadjusted means with 95% confidence intervals indicated for each data point. Adjusted mean change from baseline to each follow-up is presented in the text and was significantly greater for DH- participants at each follow-up. † DH+ participants indicated a probable history of prior major depression at baseline. DH – participants denied symptoms suggestive of a probable lifetime major depression episode. ‡ Perceived stress scores range from 0 to 16 and reflect symptoms over the past month. Higher scores indicate greater perceived stress, a subjective measure of distress. We also examined the proportion of each DH group whose depressive symptom scores worsened from baseline to follow-up. Symptoms were considered significantly worse if scores went from below the cut-point suggestive of clinically meaningful symptomology (mean = 0.75)39 at baseline to above it at either follow-up. At 21 days, depressive symptom scores significantly increased in 9.7% of DH+ and 7.9% of DH−’s (P = 0.33). At three months, 12.0% of DH+ and 10.3% of DH−’s depression scores worsened compared to their score at 21 days (P = 0.44), and 8.9% of DH+ and 7.6% of DH−’s scores were worse compared to baseline (P = 0.48). After controlling for baseline differences, DH+ participants were more likely to report tension/agitation, irritability/anger, depression, difficulty concentrating, and confusion at 21 days (see Table 2). At three months, groups differed only with respect to the proportion reporting anxiety (37.0% DH+ vs. 21.3% DH−, OR = 1.68 [1.21–2.34]. P = 0.002) and depression (31.9% DH+ vs. 15.9% DH−, OR = 1.90 [1.32−2.71], P < 0.001) in adjusted analyses. The severity of each symptom endorsed was also examined. None of the severity ratings averaged more than moderate intensity for either DH group. In adjusted analyses, DH+ participants endorsed more severe difficulty sleeping (P = 0.008), nausea (P = 0.04) and confusion (P = 0.04), but groups were otherwise similar. At three months, there were no group differences in any severity ratings after controlling for baseline differences (data not shown). Mean severity ratings can obscure the occurrence of more severe symptom cases. Thus, the number and proportion of people who endorsed each symptom and rated it as severe or very severe was also examined (Table 3). More DH+ participants rated their depression as severe/very severe (adjusted P = 0.02) at 21 days. No other differences were observed at either follow-up after controlling for baseline differences (data not shown). There was no difference in ITT non-smoking rates between DH groups at 21 days (48.6% DH+ vs. 47.3% DH−; OR = 1.05, 95% CI = 0.84–1.33, P = 0.66) or three months (44.8% DH+ vs. 41.98% DH−; OR = 1.13, 95% CI = 0.89–1.42, P = 0.32). These findings remained after controlling for relevant baseline covariates, including gender, age, marital status, race, FTND score, baseline depressive symptom score, and behavioral treatment group at 21 days (OR = 1.18, 95% CI = 0.91–1.52, P = 0.21) and three-month follow-up (OR 1.20, 95% CI = 0.92–1.55, P = 0.17). Results were similar in the respondent only analyses (DH+ 56.7% vs. DH− 56.9%, OR = 0.99, 95% CI = 0.77–1.28, P = 0.96 at 21 days, n = 995; DH+ 59.1% vs. DH− 55.4%, OR = 1.16, 95% CI = 0.89–1.52, P = 0.27 at three months, n = 891). These findings also remained after controlling for the baseline covariates above at 21 days (OR = 1.09, 95% CI = 0.82–1.45, P = 0.53, n = 919) and three months (OR = 1.26, 95% CI = 0.93–1.70; P = 0.22, n = 823). Empirical data are needed to examine whether smokers with and without psychiatric history at treatment onset experience differential mood disturbance, side-effects or abstinence rates after taking varenicline. In this trial, smokers with a probable lifetime history of depression (DH+) were more likely to report a number of neuropsychiatric side-effects after initiating varenicline treatment including tension/agitation, irritability/anger, depression, difficulty concentrating, and confusion; however, the data do not indicate these individuals were more likely to experience new or significantly worse mood disturbance compared to DH− participants, particularly after baseline differences were taken into account. Depression and perceived stress scores declined in both groups over time. Subjective side-effect symptom ratings averaged moderately intense or less for both groups across all monitored side-effects and were similarly intense between DH groups except for nausea, sleep disturbance, and confusion assessed early in the treatment period (21 days post-target quit date). Each of these symptoms was rated as slightly worse among DH+ participants, but indices of mood were not different. Finally, a similar proportion of participants in each DH group reported depression scores at follow-up indicative of a potentially clinically meaningful decline in mood. And while more DH+ participants rated their recent depression as ‘severe’ or ‘very severe,’ this affected only 24 out of 542 participants in this group. Differences in abstinence rates were also not observed. In fact, non-smoking rates for both DH groups were similar to those observed in the clinical efficacy trials1,2. One explanation for these findings could be that by promoting dopamine release and reducing nicotine cravings varenicline, an α4β2 partial agonist, may curb post-quitting negative affect and, in turn, enhance quit rates. If these findings are replicated, it could suggest varenicline is an appealing treatment option for some DH+ smokers. However, more research is needed. Data from this study alone are not enough to conclude that varenicline is equally safe and effective in psychiatric and non-psychiatric samples. A number of limitations prevent this. First, the study did not include a no-medication control group. This was not necessary for the aims of the behavioral intervention trial, but would be required to determine whether each of the observed symptoms were due to varenicline, nicotine withdrawal, or other factors. Next, we cannot absolutely conclude whether participants met diagnostic criteria for current or past major depressive disorder. The proportion of people with a probable history of major depression (56%) is consistent with results from other smoking cessation trials (35% to 60%)16, 17, 18, 19, but it is possible that lifetime depression was over-identified with our brief screening. This screen, however, is consistent with the assessment a clinician might use in a brief clinical encounter. As such, determining if smokers identified with this methodology are at greater risk of adverse events is clinically relevant. Next, the timing of the assessments does not allow comment on whether side-effects were exacerbated after people stopped taking varenicline, as has been suggested by some9,40. However, most side-effect differences observed were at 21 days. At this assessment point, 82–83% of respondents were still taking varenicline. By the three-month follow-up, only about a third of each group was still taking varenicline, and there were no differences in symptom severity ratings, so it seems unlikely that medication discontinuance drove the disparities observed in this study. Finally, the data do not allow us to comment on potential interactions between varenicline use and other psychiatric conditions. This study also has several notable strengths. COMPASS is the first completed smoking cessation effectiveness trial to use varenicline post-FDA approval. Although the study design has limitations, it is also the best empirical data currently available to examine disparities in side-effects or outcomes by DH group. It was conducted in a real-world setting, exclusion criteria were less restrictive than in the original efficacy trials, persons with major depression were included in the sample, and all outcomes were systematically monitored at each follow-up. Additional research is needed to more fully evaluate varenicline safety, particularly among smokers with active or prior psychiatric history. Until then, clinicians should carefully monitor patients on this drug. Data from this study suggest smokers with a likely history of depression are more likely to report common side effects associated with varenicline and/or nicotine withdrawal, but worsening mood, qualitatively worse overall side-effects, and differential smoking outcomes were not observed between depression history groups in this study. 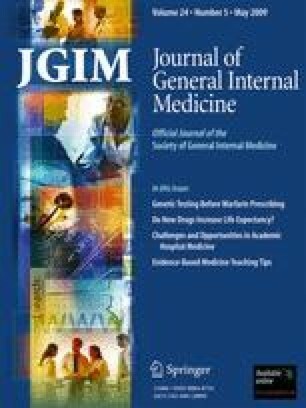 The authors wish to thank the study staff at SRI and Group Health for their assistance with data collection; the staff of Free & Clear, Inc. for their assistance recruiting and counseling participants; and Sallie Dacey, MD and Abigail Halperin, MD for their assistance with medical oversight. The COMPASS trial was funded by the National Cancer Institute (NCI) (RO1 071358, G. Swan PI). Pfizer, Inc. donated medication and provided nominal financial support to SRI to help support data collection at that site. However, neither NCI nor Pfizer was involved in the collection or analysis of this data, had any influence on the study design, or had any influence over the content of this report. This study is registered at Clinicaltrials.gov (NCT00301145). Findings from this study have been accepted for presentation at the Society for Behavioral Medicine annual conference in April, 2009. Drs. McAfee and Zbikowski and Ms Deprey are employed by Free & Clear, Inc. Dr. Swan received financial support from Pfizer to attend a one-day advisory meeting in 2008. The authors have no other potential conflicts of interest to report. FDA. Varenicline (marketed as Chantix) Information. 2008 [updated 2008; accessed January 2009]; Available from: http://www.fda.gov/cder/drug/infopage/varenicline/.